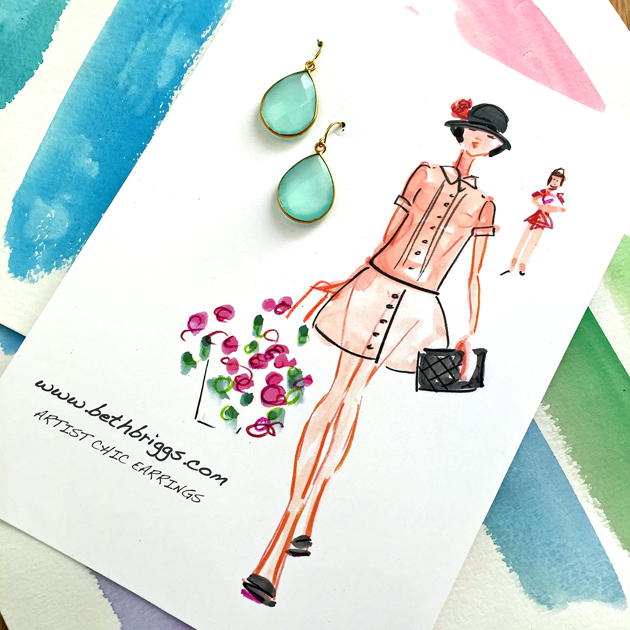 Introducing….artist chic earrings…ooh la la! Artist Chic Earrings awaiting their debut at the Brooklyn Artists and Fleas Market on Oct. 3/4 where I will be introducing my Artist Chic Brand and live fashion sketching as well! If you are in the neighborhood please stop by!